Portland Thorns just snapped their losing streak while Royals are currently on an unbeaten streak. Action in the National Women’s Soccer League is far from over this week, continuing on Friday night with the Portland Thorns hosting the Utah Royals. 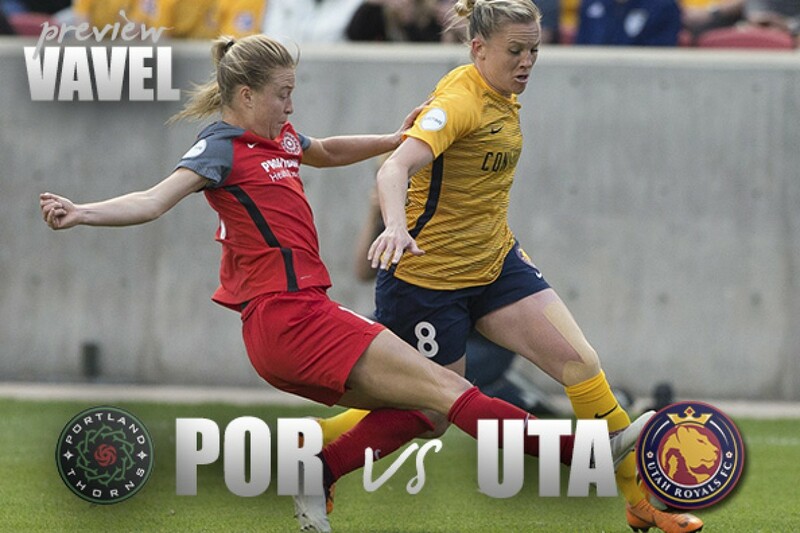 This will be the second meeting of the season between the two teams, the first one resulting in a 1-1 draw in Utah. 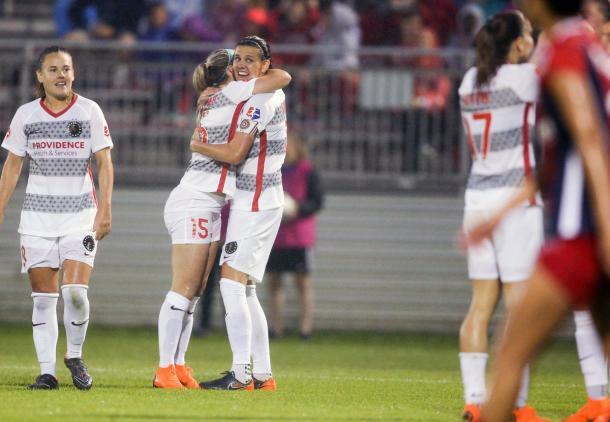 Both teams come in after taking three points last week, the Thorns claiming a 1-0 victory over the Washington Spirit and the Royals earning win number two of the season when they took a 1-0 win against the Houston Dash. Last weekend’s win snapped Portland out of a five game winless streak, and they also earned their first shutout of the 2018 NWSL season. The Thorns are currently in third place, sitting behind only the Seattle Reign and the North Carolina Courage. They have a lot of catching up to do if they want to beat the Courage, who still remain perfect on the season without a single loss yet. Forward Christine Sinclair currently leads the league in most goals with five and is also tied for first in assists with three. Along with Sinclair, young forward Ellie Carpenter became the youngest NWSL player to score at 18 years and 22 days when she scored her first NWSL career goal in Week 8 play. As a whole, the Thorns have scored the second-most goals in the league with 12 goals so far on the season. However, the backline may be lacking for the Thorns this weekend as defender Emily Sonnett was added to the injury report for lower back pain. Since being drafted in 2016, Sonnett has become one of the most important players for the Thorns. She has played every game and every minute of the 2018 season up to this point, leading the league in clearances with 55. After picking up win number two on the season last weekend against Houston, the Utah Royals look to continue bringing home wins. They sit in the middle of the table at sixth, and a win over Portland can easily put them up in the top three in the league. Despite being in the middle, Utah leads the league in fewest conceded goals so far this season with only 5, thanks to goalkeeper Abby Smith and her backline. Unfortunately, defender Kelley O’Hara is still out with a hamstring strain from a couple of weeks back and will not be available for tomorrow’s match. However, the attack is coming alive for the Royals, with midfielder Erika Tymrak scoring her first goal of the season in the team’s 1-0 win over Houston. Tymrak’s been in the league since the start and was named Rookie of the Year in 2013. Tymrak along side players like Amy Rodriguez and Diana Matheson will prove to be dangerous if the Royals can stay consistent. The Portland Thorns host the Utah Royals on Friday, May 25 at Providence Park. The game is scheduled to kick off at 10:30 PM Eastern Time and will be broadcasted on the go90 app.